This is a list of universities in the United Kingdom (alphabetical by substantive name). 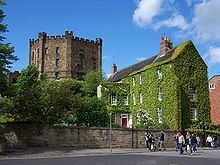 Below that are lists of university colleges and other recognised bodies (institutions with degree awarding powers), followed by a list of defunct institutions. This list follows the list of recognised bodies on the UK government website. All the institutions on this list are recognised bodies with university status, indicated either by their use of university title in their name on the recognised bodies list or by reference to the Office for Students database for the few universities that do not use the title in their name. Member institutions of the University of London are listed under the University of London. This is a list of university colleges in the UK. 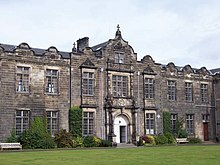 Institutions included on this list are university colleges that are recognised bodies with their own degree awarding powers; it does not include institutions with "university college" in their title that are listed bodies as parts of a university (see colleges within universities in the United Kingdom), or other institutions with "university college" in their title. Separate citations are given for institutions that have been awarded university college title recently and are not yet shown under that name on the recognised bodies list or which do not use the title in their name. This section lists other education institutions that hold their own degree awarding powers but are neither universities (or colleges of the University of London) nor university colleges. These institutions are recognised bodies with foundation degree awarding powers only. This section lists defunct universities, university colleges, polytechnics and colleges of federal universities. Note: while based in the UK, these are not considered UK Universities and are not recognised as UK degree-awarding bodies by the British government. Note: these are not considered UK Universities and are not recognised as UK degree-awarding bodies by the British government. 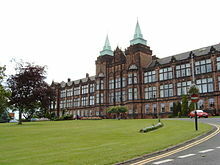 See list of universities in the Isle of Man for university institutions on the Isle of Man. There are currently no universities in the Channel Islands; in 2013 the States of Guernsey gave approval for the opening of a university there but, as of February 2017, no progress has been made on the project. 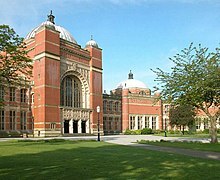 ^ Despite its name, University College Birmingham holds full university status. 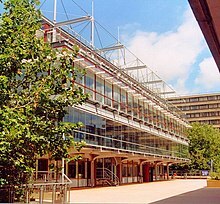 ^ Despite its name, Imperial College holds full university status. ^ a b c d "Check if a university or college is officially recognised". 28 April 2017. Retrieved 29 April 2017. ^ a b c "Existing regulatory data". Office for Students. Retrieved 14 July 2018. ^ "University College Birmingham". HEFCE. Retrieved 24 September 2016. 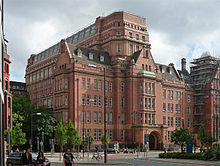 ^ "Imperial College of Science, Technology and Medicine". HEFCE. Retrieved 24 September 2016. 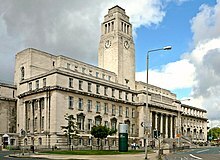 ^ "Leeds Arts University established as Leeds College of Art gains university status!". Leeds Arts University. 21 August 2017. Retrieved 21 August 2017. ^ "Merger FAQs" (PDF). University of Wales. January 2018. Retrieved 19 August 2018. 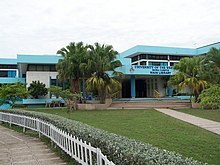 ^ "AECC University College". HEFCE. Retrieved 27 August 2017. ^ "The London Institute of Banking & Finance". HEFCE. Retrieved 29 April 2017. ^ "Hartpury becomes second FE college to earn degree awarding powers". FE Week. 31 July 2017. Retrieved 31 July 2017. ^ "Degree awarding powers granted to Richmond, the American International University in London". 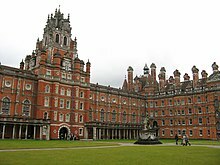 Richmond, The American International University in London. 29 May 2018. ^ "Tier 4 (General) student visa". Government of the United Kingdom. 22 July 2016. Retrieved 25 September 2016. ^ "Register of licensed sponsors: students". UK Visas and Immigration. 13 March 2017. Retrieved 15 March 2017. ^ a b "Check if a university or college is officially recognised". Government of the United Kingdom. 7 March 2017. Retrieved 15 March 2017. ^ "Educational Oversight: report of the monitoring visit of Amity Global Education Ltd t/a Amity University [In] London" (PDF). Quality Assurance Agency. November 2015. Retrieved 25 September 2016. ^ "About Us – History, Facts and Features". Harlaxton College. Retrieved 25 September 2016. 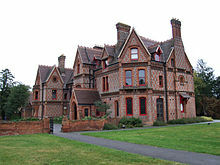 ^ "The Bader International Study Centre". Queen's University, Canada. Retrieved 25 September 2016. ^ "Harlow Campus". Memorial University. Retrieved 25 September 2016. ^ "Wisconsin in Scotland". University of Wisconsin, River Falls. Retrieved 25 September 2016. ^ "Recognised UK degrees". Department for Business, Innovation and Skills. Retrieved 5 September 2015. ^ "Channel Islands university supported by Guernsey States". BBC. 15 November 2013. Retrieved 16 February 2018. ^ "University of the Channel Islands in Guernsey: Vision Statement". Susan Jackson Associates. September 2013. Retrieved 16 February 2018. ^ "Guernsey 'could have its own university'". itv.com. 16 February 2017. This page was last edited on 21 March 2019, at 20:50 (UTC).